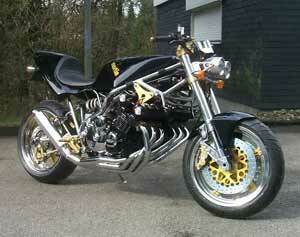 In 2002 we have started to break the big brown CBX into pieces. 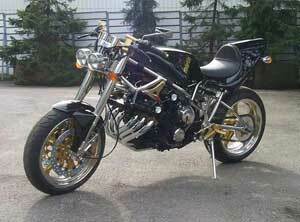 Since a lot of time was still spend on the CB400f project the CBX did not get enough attention. But times have changed for this bike. During the day of 28 December 2002 Pascal and Bart have ripped the poor thing to pieces. 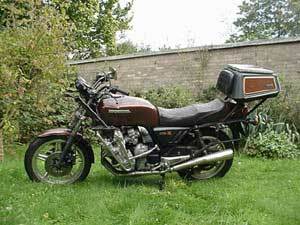 Idea is to revise the bike and it's engine and to improve it's looks at the end into a more late 70's style of bike. First thing that needs to be done is to clean everything. 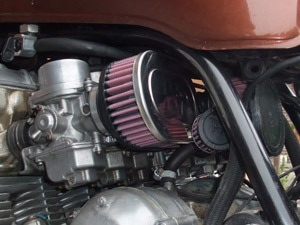 All parts, how little they are, are covered with either grease and sand or with rust or other forms of corrosion. After the whole era of cleaning all things, the assembly will start. We were sure this would be a while away, but Pascal picked up work in 2007 when his ZZR1100 was coming close to a shutdown. 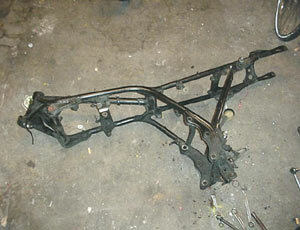 January 2008 the bike was finished and together with this update the first pictures are here, too. 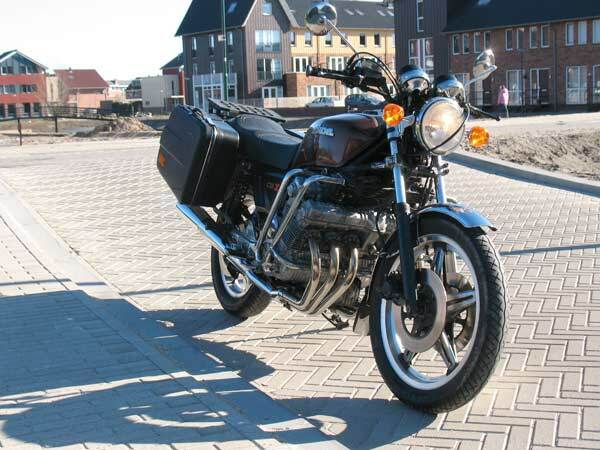 The following CBX bikes are simply here because Pascal was looking around to decide what features he'd like on his "Big Brown Balou". These ideas all have encountered certain touches that are needed to make something special. We think. 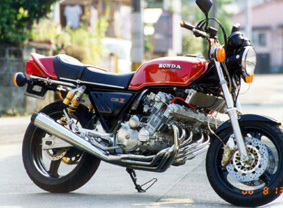 This red bike is from a Japanese guy. 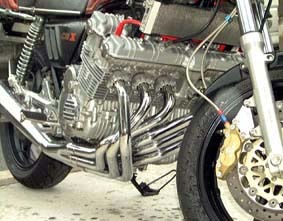 The exhaust is the most interesting, we like those bends and knots! 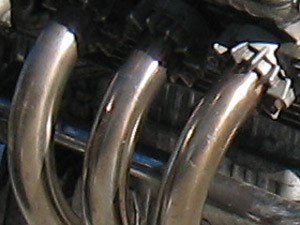 The Devilish 6-ciliner (under) is a 6 Supertrapp-exhaust monster. 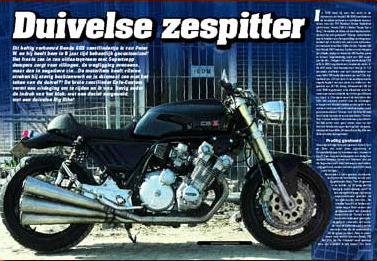 Shown in the Dutch Bigtwin magazine (feb '03). 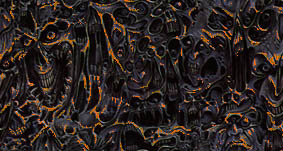 More basic and very brutal too.